Watch George HW Bush Jump Out Of A Helicopter For His 90th Bday! Once again the ex-Commander In Chief, Vice President, CIA Director and TBM Avenger pilot took a leap out of a perfectly good aircraft to celebrate his birthday, of which this is his 90th. President Bush leaped out of a helicopter hovering at 6,000 over Kenibunkport, Maine attached to an ex-US Army Golden Knights member Mike Elliott. 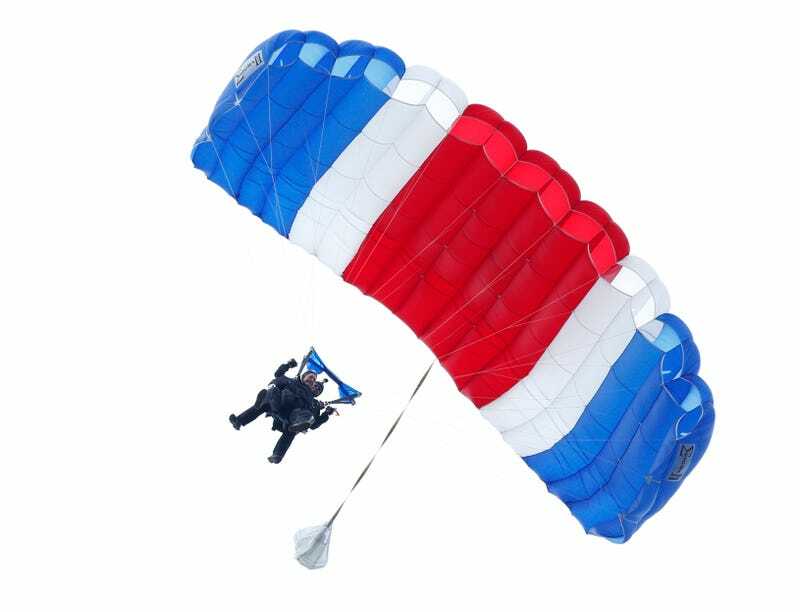 This will be his 8th jump, which is amazing considering he has not been able to walk since 2012 due to his continuing struggle with Parkinsons. Bush has gone skydiving for his 75th, 80th, 85th and now 90th birthdays. He does so to show the world that he is still a badass, to inspire others that old age does not mean you cannot still have a lot of fun, and to commemorate his bailing out of a TBM Avenger over the Pacific during WWII. So here's to you Mr. President for showing the world that age and a handicap does nothing to kill the warrior spirit inside of you! Happy B-Day George H.W. Bush!